Happy hump day! 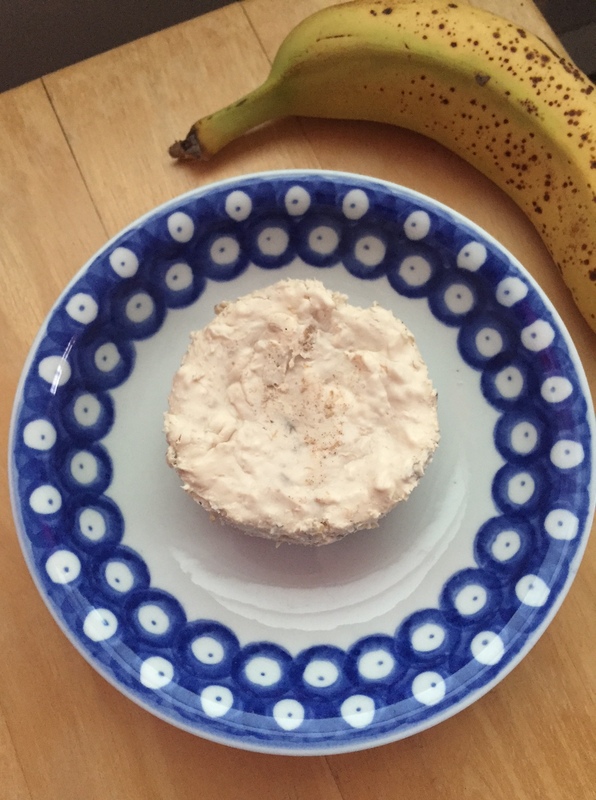 I love breakfast, but I tend to eat the same things during the week…usually peanut butter and banana toast, yogurt parfaits, or overnight oats. I like things that I can grab and eat in the car or at work. So I wanted to try something new! 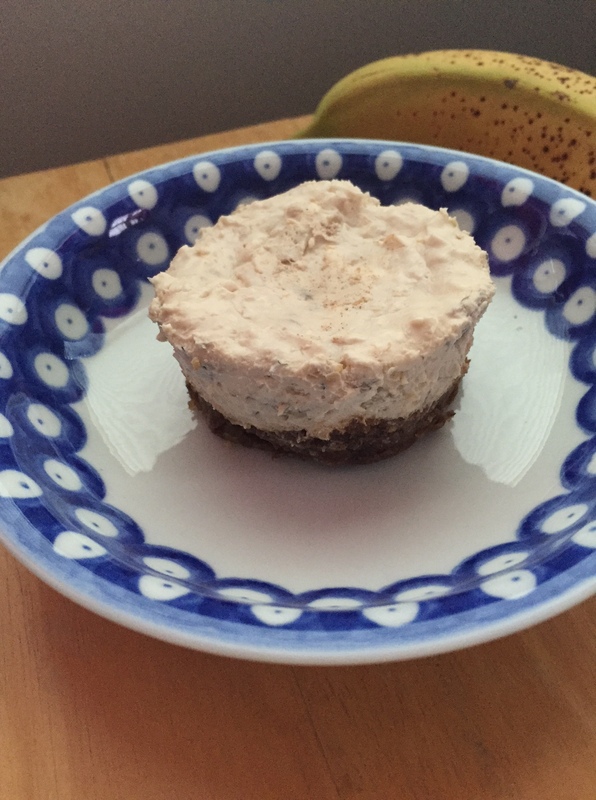 These cheesecakes are the perfect little treat…feels like you’re eating a dessert for breakfast! Grab one with a piece of fruit and you’re good to go. I also tried freezing some and they were just as good defrosted, so you can make these ahead and defrost them as you need them! Note: I adapted these from a recipe that was supposed to make 2 cheesecakes, and I wanted to double it to make 4. I ended up having way too much filling but only enough crust to make 4. So for the other 4, I used Larabars that I smushed into a crust. Larabars are made from dates, nuts, and spices…so simple yet so yummy! 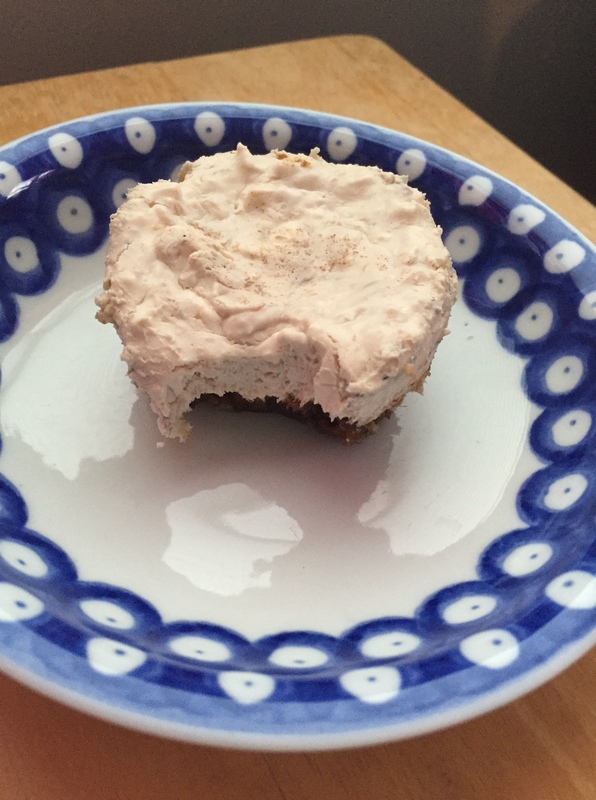 You could actually make your own “Larabar crust” if you use a recipe similar to this or this and press it into the muffin tins. 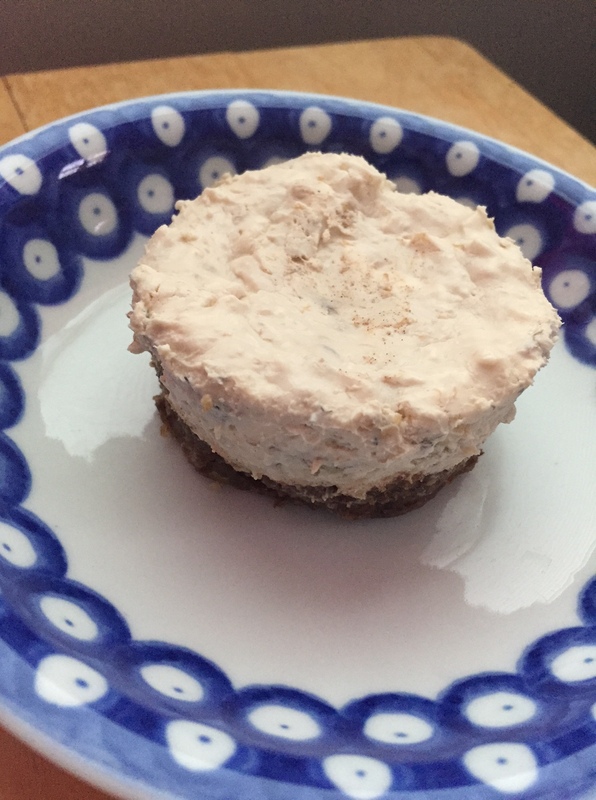 I actually ended up liking the taste of the Larabar-crust cheesecakes best, and they’re easier to make 🙂 But I put both options for crust in the recipe below! 1.) Preheat oven to 300 F. Spray 8 muffin tin wells with non-stick cooking spray. IF USING OAT CRUST: In a small bowl, mix together oats and applesauce. Divide evenly among the 8 wells and press into the bottom. Bake for 8 minutes. Let cool in pan. 3.) In a medium bowl, mix the cream cheese and honey until smooth. Then add in the mashed banana, vanilla extract, coconut, and cornstarch and mix well. 4.) Pour filling over crusts and bake for 20-25 minutes (centers will be slightly jiggly). Cool to room temp in the pan, then cover with plastic wrap. Refrigerate at least 3 hours before serving.